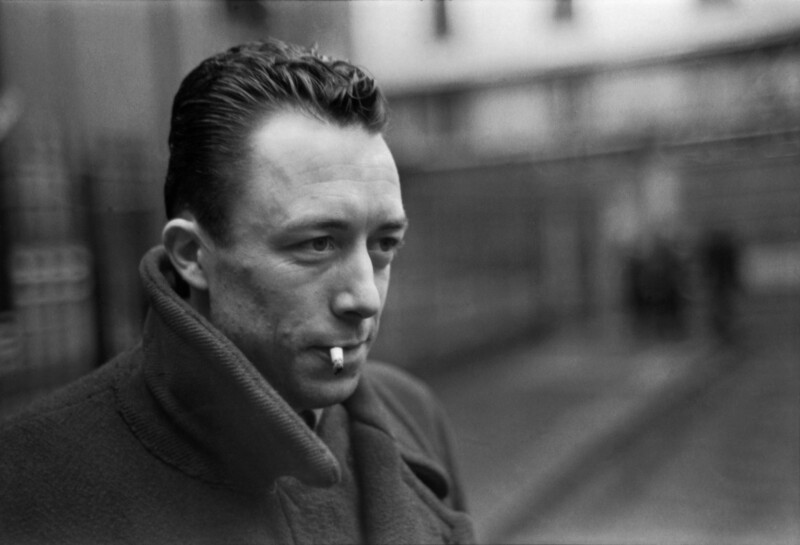 While the Wagnerian suicide of Adolf Hitler in 1945 may have been the perfectly consistent end of a modern nihilist (see my previous post), the death of Albert Camus in 1960 was not. Yet far more than his fellow existentialists, Camus was a dynamic thinker. He was never satisfied with his conclusions about the moral dilemmas of the modern west and progressively explored their root problems. This was the case with his fictional account of Nazi totalitarianism, a novel called The Plague. This beautiful book (one of my students once commented after reading it in our course that it made him “proud to be a human being”) took Camus beyond nihilism, back toward the central concerns of traditional Christianity. Part of his inspiration was, interestingly, a lifelong attraction to Saint Augustine that contradicted his otherwise atheistic convictions. In the novel, evil is absurd, yes, and all-pervasive, but the protagonist’s response to it is not. A physician, he applies the cure of sacrificial love knowing that he can not completely annihilate the evil in this world, but knowing that he can prevent its triumph. Himself an atheist, the protagonist comes in spite of himself (and perhaps in spite of the author) to the remarkably similar conclusions of traditional Christianity. Indeed, some see Camus’s allegory of Nazism as a “proto-Christian” step in his intellectual development. If so, his next work of fiction–and, alas, his last–went much further. The Fall is a very strange short book about a man who compulsively confesses his sins to a bartender. The man in question is a former judge, and an atheist. Or so he claims. Yet his preoccupation with a great sin he once committed reveals the weakness of his self-proclaimed nihilism, which he associates with Friedrich Nietzsche (who, it might be noted, was one of Hitler’s intellectual heroes). In the case of The Fall, Camus now takes his study of evil–what modern philosophers call theodicy–away from society and government and locates it . . . deep within the heart of the individual. By this time in his career Camus had been visiting a Roman Catholic monastery off and on and was increasingly drawn to the values of traditional Christianity. It is significant that the sinner in the bar has the given name of Jean-Baptiste–John the Baptist, who once preached a “baptism of repentance.” His family name is also significant–Clamence, similar to “clemency,” or mercy and forgiveness. The problem is, he is an atheist. From whom does he need forgiveness? Camus’s dynamic and honest struggle to confront the moral and philosophical problems of a post-Christian Christendom did not end with The Fall. Though self-consciously an atheist until the end, he continued to be drawn to the Christian anthropology of Saint Augustine. Then, one day in 1960 he decided to accept the invitation of a friend to drive him to Paris by car. He would have preferred the train and had even bought himself a ticket. But nevertheless he agreed to drive. 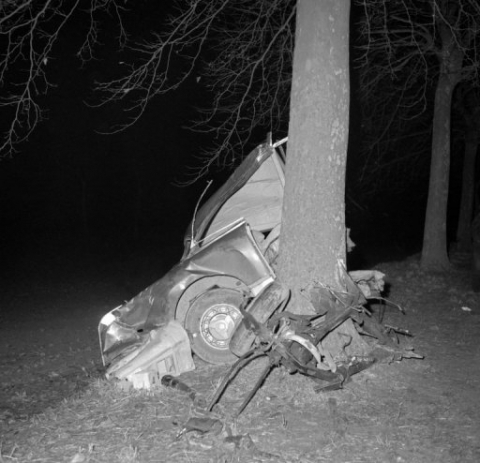 Along the way, the car went off the road and slammed into a tree. Camus was killed instantly. At only forty six years of age, the restless philosopher who had traveled beyond modern nihilism into the heart of traditional Christianity might very well have gone further. It was a tragic end to a remarkable intellectual journey, and perhaps a truly absurd one as well. They even found the unused train ticket in his pocket.